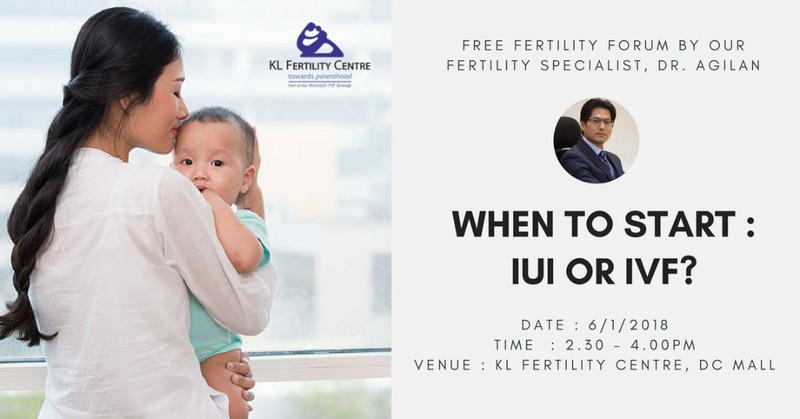 My next fertility forum is on 6th January 2018 , at KL Fertility . It starts by 2.30pm . In this free fertility forum , I’ll be focusing on a questions asked by nearly all couple : “When to start IUI or IVF ? ” . See you all during the forum . Do we need to sign up the Fertility Forum on 6th January 2018, since it’s free. If yes, how and where to sign up. Hi, you can register online via KL Fertility facebook page. You will see the link to sign up there. Alternatively , can email me at agilan@klfertility.com. Thanks .